strict warning: Non-static method view::load() should not be called statically in /var/www/html/clients/www.adblue.lt/sites/all/modules/views/views.module on line 879.
strict warning: Declaration of views_handler_filter::options_validate() should be compatible with views_handler::options_validate($form, &$form_state) in /var/www/html/clients/www.adblue.lt/sites/all/modules/views/handlers/views_handler_filter.inc on line 589.
strict warning: Declaration of views_handler_filter::options_submit() should be compatible with views_handler::options_submit($form, &$form_state) in /var/www/html/clients/www.adblue.lt/sites/all/modules/views/handlers/views_handler_filter.inc on line 589.
strict warning: Declaration of views_handler_filter_boolean_operator::value_validate() should be compatible with views_handler_filter::value_validate($form, &$form_state) in /var/www/html/clients/www.adblue.lt/sites/all/modules/views/handlers/views_handler_filter_boolean_operator.inc on line 149.
strict warning: Declaration of views_handler_filter_term_node_tid::value_validate() should be compatible with views_handler_filter::value_validate($form, &$form_state) in /var/www/html/clients/www.adblue.lt/sites/all/modules/views/modules/taxonomy/views_handler_filter_term_node_tid.inc on line 303.
strict warning: Declaration of views_plugin_style_default::options() should be compatible with views_object::options() in /var/www/html/clients/www.adblue.lt/sites/all/modules/views/plugins/views_plugin_style_default.inc on line 25.
strict warning: Declaration of views_plugin_row::options_validate() should be compatible with views_plugin::options_validate(&$form, &$form_state) in /var/www/html/clients/www.adblue.lt/sites/all/modules/views/plugins/views_plugin_row.inc on line 135.
strict warning: Declaration of views_plugin_row::options_submit() should be compatible with views_plugin::options_submit(&$form, &$form_state) in /var/www/html/clients/www.adblue.lt/sites/all/modules/views/plugins/views_plugin_row.inc on line 135.
strict warning: Declaration of content_handler_field::options() should be compatible with views_object::options() in /var/www/html/clients/www.adblue.lt/sites/all/modules/cck/includes/views/handlers/content_handler_field.inc on line 208.
strict warning: Declaration of filefield_handler_field_data::options() should be compatible with views_object::options() in /var/www/html/clients/www.adblue.lt/sites/all/modules/filefield/views/filefield_handler_field_data.inc on line 44. Norite užsisakyti Adblue®? Prašome užpildyti žemiau pateiktą formą. 10 litrų AdBlue® bakeliai, paletė ( 750 Ltr ): vnt. 18 litrų AdBlue® bakeliai, paletė ( 864 Ltr ): vnt. Mišri AdBlue® bakelių paletė, 32x18L.-25x10L ( 826 Ltr ): vnt. 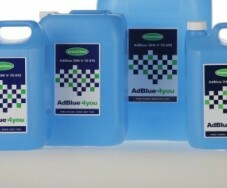 GreenStar Basic - įranga AdBlue® IBC konteineriui, be skaitkliuko: vnt. 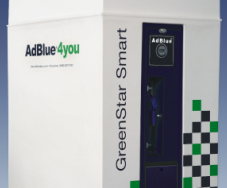 GreenStar 1 - įranga AdBlue® IBC konteineriui, su elektroniniu skaitliuku: vnt. GreenStar Smart, 2900 ltr talpos AdBlue® išpilstymo sistema: vnt. 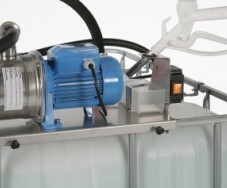 GreenStar Smart XL, 6000 ltr talpos AdBlue® išpilstymo sistema: vnt. 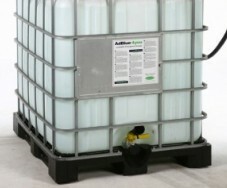 GreenStar 3 - AdBlue® išpilstymo sistema, nuo 4000 iki 50.000 ltr talpos: vnt. AdBlue® skysčio užpildymo kolonėlės degalinėse Viada LT UAB ! Bendradarbiaudami su Lukoil Baltija UAB degalinių tinklu, dar 2007 m., suteikėme vežėjams galimybę paprastai ir greitai užsipilti AdBlue skysčio. Pirmoji Lietuvoje stacionari AdBlue išpilstymo įranga veikia degalinėje LUKOIL BALTIJA UAB, esančioje Pelucmurgių k., Marijampolės raj., šalia kelio VIA Baltica. 2005 - 2019 @ Greenchem Baltic. Visos teisės saugomos Lietuvos Respublikos įstatymų.